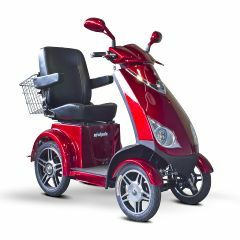 Up to 43 miles per charge (distance varies by riders weight , terrain, road surface etc. Up to 15 mph speed! Vanessa, Thank-you for your help with a return that I called about. It was nice to call a company with a problem and have someone that was very plesant and attentive to talk to. Your customer service is fantastic please don't change anything. We will definately order any other supplies we need from you. You made a stressful cituation seem say small.